Among companion pets, dogs are incomparable in their love, affection, friendship, attachment and faithfulness to human beings. They in turn are totally dependent on you for protection, food and love. 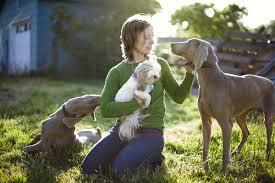 Therefore it is indispensable to understand how to take care of dogs. If they are left unattended they feel lonely. 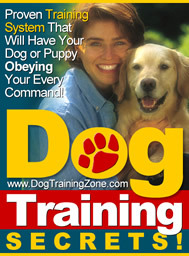 So if you are owning a dog you need to consider the responsibility that dog ownership encompasses. 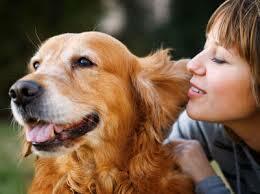 It requires a long term financial and emotional commitment to accomplish your obligations as a dog owner. Dogs are very sensitive hence they must be given proper attention and care as far as their health, house training, security, socialization, veterinary care, feeding and walk schedules are concerned. Dental care and dental hygiene are essential for a dog’s over all health. You must keep track of their teeth on a regular basis to avoid any dental disease. It is recommended to brush their gums and teeth at least thrice a week with a dog toothpaste. They should also not be given eating objects that are harder than their own teeth. Annual veterinary check up for teeth scaling is a must. Do you hear a ‘click clack’ sound on your house floor? If yes, then your pet is overdue for a pedicure. It is important to keep your dogs nails trimmed so as to keep him comfortable and also reduce the scratches on your floor. Clipping the nails regularly also enhances their appearance. If your dog has black nails, just trim the edge of the nails. If a nail is cut too short, and it starts to bleed, drench the nail in styptic powder or cornstarch. Dehydration among the pets is a common issue during hot weather. Therefore ensure you give your dog plenty of water to drink and a shady place to sit. Do not over exercise them during this weather. When the temperature is high keep them indoors and also ensure they get an early summer check up done along with a heatworm test. Brush your dogs teeth regularly with dog friendly toothpaste and also get them cleaned when they go to the veteran. Clean their water bowls regularly in order to get rid of bacteria. Buy them hard dental chew bones and high quality good which is easy to digest. Keep the hair of your dog short so that they do not scrap on their eyes, thereby preventing bacteria from getting into them. Also ensure that the corner of their eyes is mucus free in order to prevent eye infections. Trim paw hair regularly and check between toes for pebbles, foxtails and debris. Moisturize them if they become dried and cracked. A paw massage once in a while can be relaxing and promote better circulation. The most important thing about parenting dogs and puppies involves setting up a proper vaccination plan with your veteran. Feeding your pet with quality food is the second most essential thing. 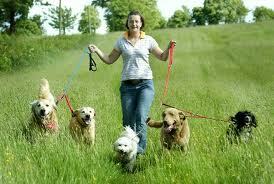 If these simple guidelines on how to take care of dogs are followed, your pet will stay healthy and happy. Although dog parenting can be challenging but the payback will make your toil worthwhile and the bond with your dog will keep growing.